Maersk Training contacted Monument about the creation of a working space for the company’s team — it had to be light, airy and welcoming to establish a more productive and efficient environment. To do this, we brought the meeting rooms, reception, kitchen and dining area together. While downstairs was all open plan, upstairs housed multiple private meeting rooms. 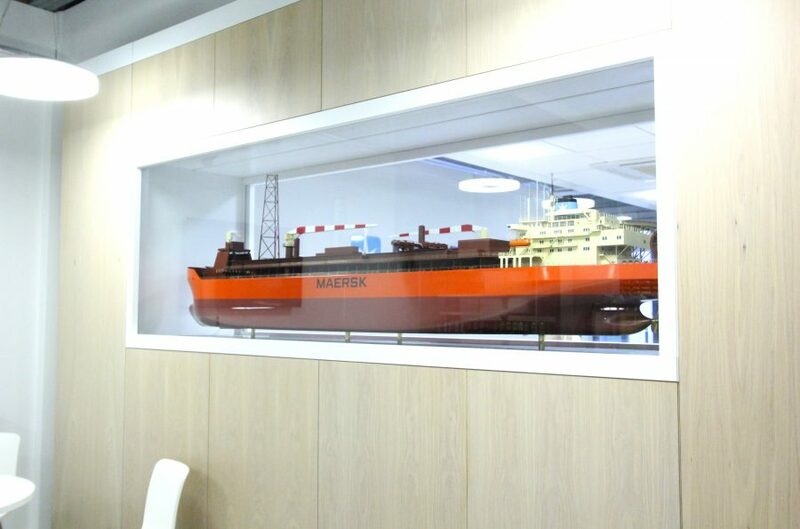 The use of glass applied a modern feel throughout to reflect the nature of the organisation, with the first impression, the reception, having a ‘finned’ desk with a backlit display cabinet to show off Maersk’s branding. The training facility, in a separate building, was designed with functionality in mind. Numerous classrooms, a kitchen and dining area, as well as a changing area were designed and built to make the space comfortable and accessible for the many rotating groups of trainees. This project evolved from the shell of a building to the final fit out to create a light, airy and inspirational space. 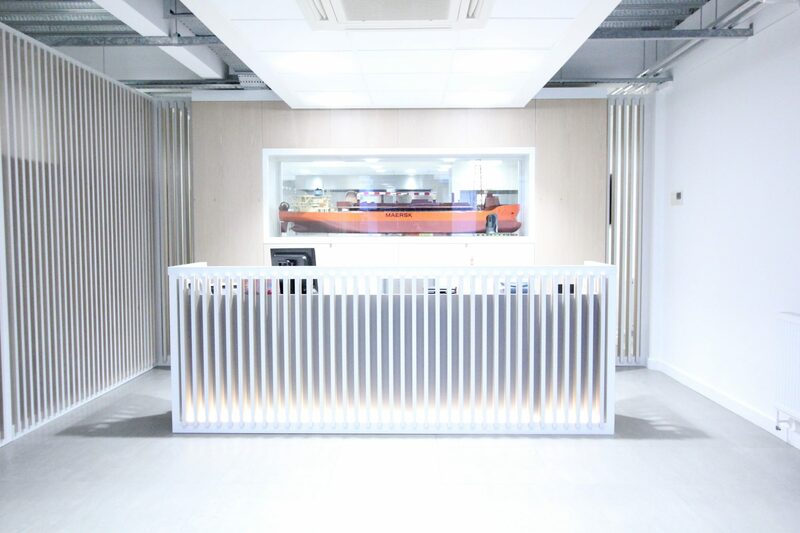 As you walk in, the first thing that grabs your attention is the impressive ‘finned’ reception area, which sets the tone for the rest of the space. Everything was designed and handcrafted by our skilled in-house team. Get in touch and see how we can transform your working environment.